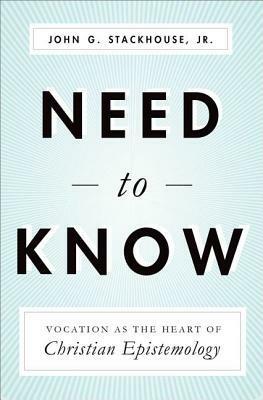 Goodreads Giveaway of “Need to Know” | John G. Stackhouse, Jr.
Good ol’ Goodreads and my generous publisher are combining to let you avoid the really quite paltry price of my new book by entering this giveaway. Here’s the widget (I trust) that will get you to the giveaway. Giveaway ends June 27, 2014. Good luck (he said, providentially speaking)! I wonder if you talked about Immanuel Kant’s work in your new book? I hear many professors say that Christians have never dealt with his objections in a systematic way they just simply lack the ability to answer his Critique of Pure Reason. The whole book is an answer to Kant, in fact. But it isn’t an extended conversation with him: it’s a critical alternative.